If you are searching the web for “car key cutting near me”, search no more! The Car Key People offer a mobile car key cutting service to London and the South East. If your keys have been lost or stolen we can be with you in less than 60 minutes to cut a replacement car key. 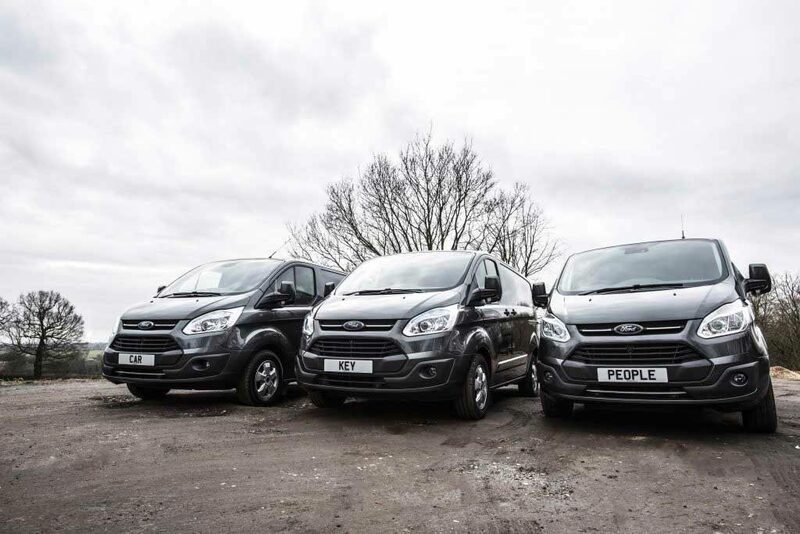 Our car locksmith team have years of experience with cutting keys for cars and vans and with one simple phone call we could be cutting your car key next. There are two main types of key profiles used for vehicles. These are known as side cut and laser. At The Car Key People we can cut all types of side cut and laser type car keys. 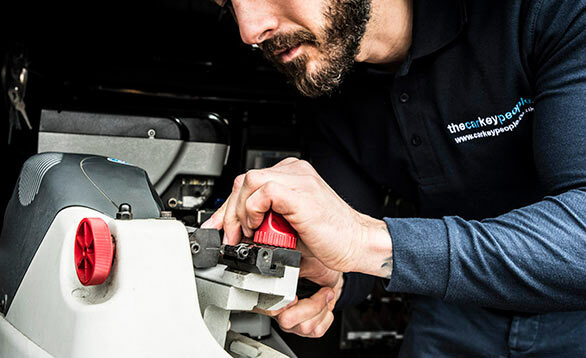 We have access to a variety of key cutting machines and each key type may require cutting on a different specialist key machine.Side cut car keys are used on earlier types of vehicles and are now being replaced with laser keys by most manufacturers. Having said that there are a number of car manufacturers that are still using the side cut key. This type of key is renowned for becoming worn and snapping. The Car Key People can recut snapped car keys and save you cash over ordering in a replacement key from a dealer. Most main dealers will replace a snapped car key with a whole new key that requires programming to the car. 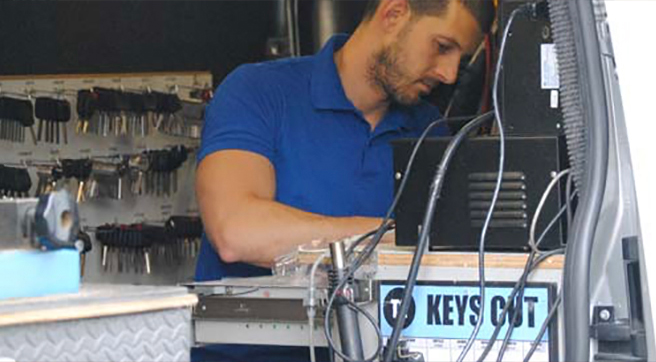 We can easily cut a new key using the snapped pieces as a template and then transfer over the transponder chip, removing the need to program the key..
All car keys are cut onsite in our mobile work van. We carry specialist equipment to cut all car key profiles including Ford Tibbe keys which are cut on a dedicated machine. We cut car keys by code, pattern or copy. If you have a key code we can enter the number into our software and let the machinery do the rest. A key code is usually written down on a card in the front of your service book. If the code has been lost we can obtain a large amount of manufacturer key codes from the main dealers on your behalf. Where no key code is available we can remove a lock from your vehicle and take it apart to see how the key needs to be cut.If you have one working key or all the pieces of a broken key we can use this as a template and trace a new key..
What are laser cut car keys? Believe it or not these keys are not actually cut by laser, they are named laser keys as their cut appearance resembles the trail of a laser. Laser car keys are being used more frequently and are slowly replacing the majority of side cut car keys. They are a much stronger key that are less susceptible to becoming worn and snapping..
We cut and program all types of car keys on site at your vehicle while you wait. The majority of car main dealers do not have the ability to cut a replacement car key in their shop. Main dealers will normally have a code on file that gives them the information to cut your key, unfortunately the majority do not have key cutting machinery available at your local dealer. This means they have to order keys in from their factory or head office. This could take up to 5 days or more. We can cut all car keys the same day as your phone call.